**Travel cervical spine, This gadget protect from trevel pain, Comfortable and easy to use. 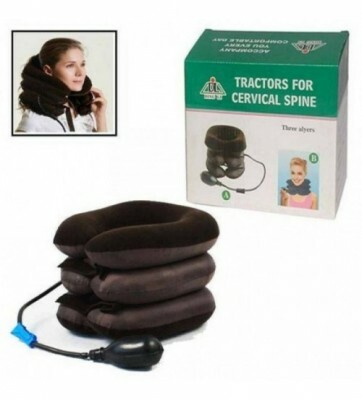 ​​This product is tractors for cervical spine, which relax your cervical spine. You can use it at anytime and anywhere since the mini shape. Be fit for office worker who seat at office at the whole day and old people that has problem of cervical spine. The tractors for cervical spine are pneumatic tractors. 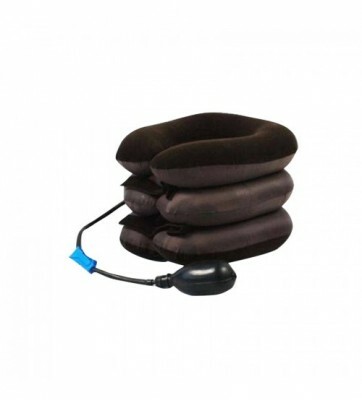 It can treat the problems of end-nerve cervical spine. It can subside the symptoms. It is easy in operation and safe and efficient in the treatment .This product is mainly made up of air bag, lining bushing, the conduit, plastic attachment, the valve of the tractor, the inflatable ball, the nylon adherent buttons and so on​.